The Govt. of India has launched a revolutionary scheme for providing LPG connection to the families which belong to the BPL category throughout the country. So those families which belong to the mentioned category can get financial assistance to have LPG connections installed in their kitchens. For that, the central govt. had issued a circular regarding the eligibility for joining the Ujjwala scheme. The beneficiary families must have their names in the SECC data which was prepared in the year 2011. The Ujjwala scheme promises to provide all the eligible families with LPG connections so that they can leave the tradition of using hazardous fuel for cooking and raise their standard of living. How to download BPL list from SECC – 2011 data? An online portal is prepared on the basis of the census done under SECC – 2011. The breakdown of the population according to castes, tribes, taxpayers, non-taxpayers, BPL family, etc. was done. An applicant of Ujjwala scheme will only be provided with LPG connection only if he/she belongs to BPL category mentioned in SECC-2011. One can easily check the eligibility and download the BPL list online through the link: http://ujjwala.nic.in/UJJWALA/login_page. One can select the name of state he/she belongs to. Those who belong to Telangana need not worry as Telangana was formed after the 2011 census. There are only 35 names of states and UTs. People belonging to Telangana will find their names in Andhra Pradesh. After selection the state, the user will have to select the district. This will download a XML file which might be in zip format. The applicant now can easily search his/her name in the list. Apart from names, related information like parents’ name, address, etc. must be cross-checked. If a applicant is unable to download the list, he/she can also visit the nearest LPG cylinder distributor to check for eligibility. 4 Financial assistance Per connection – Rs. 1,600. What is SECC – 2011 data? The Govt. of India performed a thorough census of the total population of the country in the year 2011. The census included several data of the total population. Census was prepared on which houses have salaried family members, which families are taxpaying, which families are land owners, etc. In the SECC-2011 census, list of BPL families were prepared. 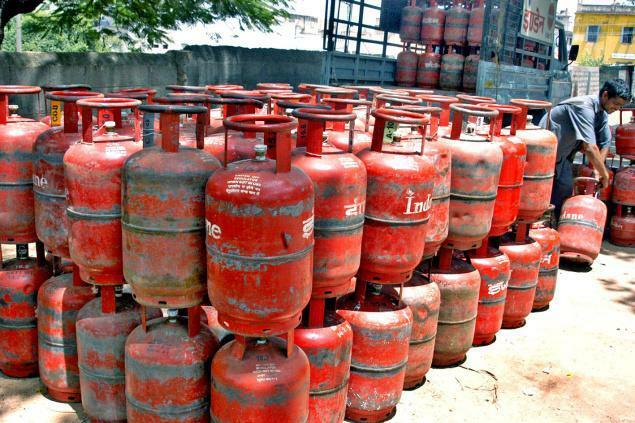 Ujjwala scheme will consider only those families which were tagged in the SECC 2011 census and will provide them financial assistance for installation of LPG connections to their households.